Help, get me a Nanny! My beautiful little girl was up at 5am this morning, team lark all the way. I am exhausted, I have 5 million Christmas Cards to write and post, 7000 presents to purchase, approx 3000 posts to write and instead I’m playing with my Dior Holiday 2009 Collection. At least I have my priorities straight right? Thanks to the fact that it’s now DARK in England all the freakin’ time (who shifted Europe 500 miles closer to the North Pole without telling anyone) I have to rely on my flash gun more than I’d like. Which makes for crappier, starker pictures and washes out the makeup a bit. 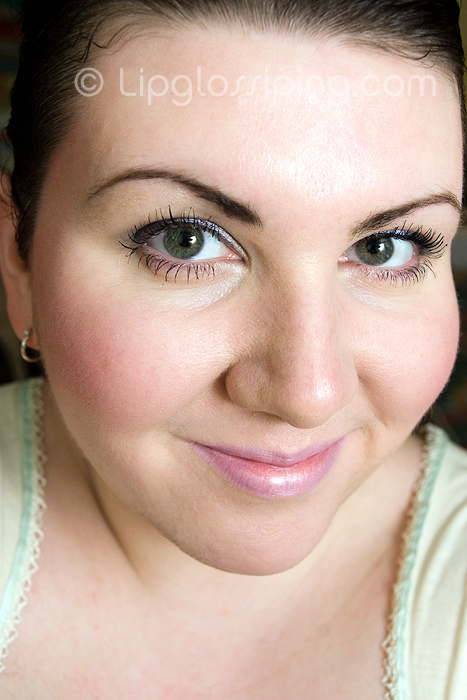 Gonna attempt a better photo of the eyeshadow quint/liner… this is rubbish for seeing what they actually look like! Love it, suits you so well. here in kuala lumpur we (or is it just me) wish for a cool and dark day. its just too bright and hot! Great FOTD.. really suits you! And yes., WTF is with the darkness? Its 2 and its DARK!!! You’re all perky – this look looks really nice on you. LOL! I had a 5:30am wake up call off my two year old, not nice, hehe. The darkness is depressing lately It’s like sunset when I fetch my eldest from school. It’s dark in Toronto too. Boo. Mmrrgh, it’s dark in Edmonton too This looks fab on you, though, even if we can only see the liner! You do have your priorities right. Playing with makeup is relaxing, I do it when I’m really stressed! It looks lovely! Wow I quite like it! The Dior pallets are a favourite of my mums, she loves high end makeup. Lol, she is soooo scared that a low quality product will ruin her skin forever and ever – as she phrases it. You look so pretty! That blusher is a great color for you. I’m behind on the holiday collections, but it looks lovely on you! Yes, dark days are certainly no fun. I’m only across the Channel, so I hear you! This is such a sweet FOTD! Lavender looks really great on you!